Blacksmiths started forging simple flat irons in the late Middle Ages. 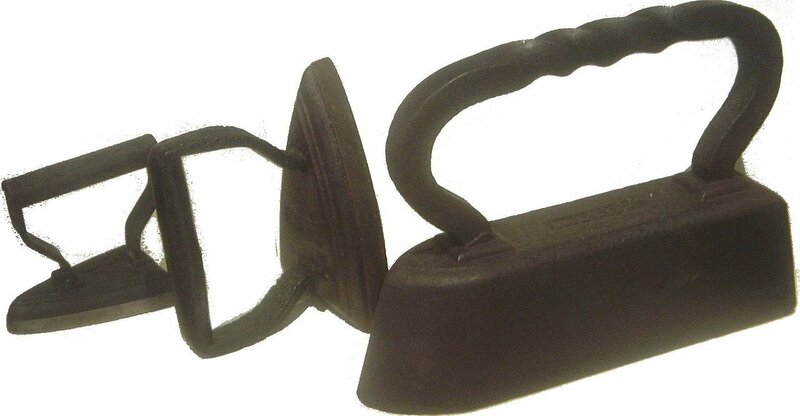 Plain metal irons were heated by a fire or on a stove. Can you imagine how much longer the pressing would take on this amazing quilt if the iron did not evolve to the modern steam iron?